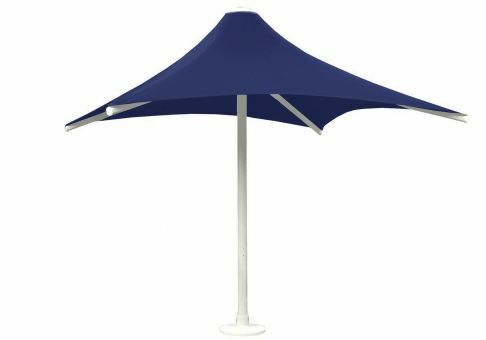 The Sunset 10' Square Retractable Umbrella Structure is Skyspan's most popular range of umbrellas. 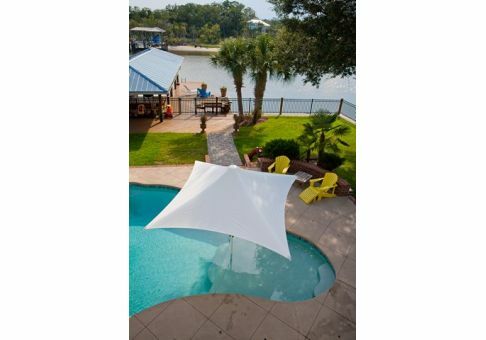 These retractable umbrellas are engineered to withstand winds of up to 75mph when opened and 93mph when retracted. The brilliance of this range is that in high winds or ominous weather, the umbrellas can be retracted in moments, so easy a small child could do it. 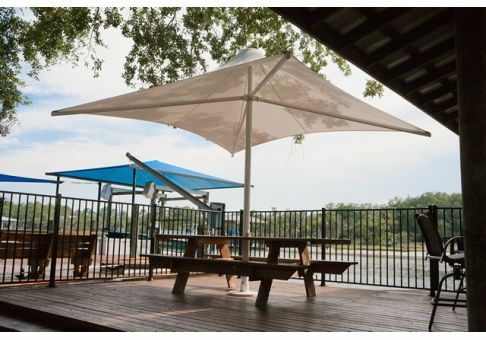 The unique gearing mechanism concealed inside the umbrella column allows the umbrellas to be retracted effortlessly and smoothly with a removable handle, ideal for cafes and restaurants that require a retractable structure. Custom Umbrella Structures are also available. Please contact our friendly customer service department at 800.278.4480 to build your quote today!